Vienna, VA (November 2018) – Rosenthal Properties is pleased to announce the acquisition of I-70 COMMERCE CENTER, located at 260 Interstate Circle in Frederick, MD for $9.2 million. The Property is 100% leased to a variety of local, national and international companies including Colonial Sash & Door, United Refrigeration, Inc., and Stulz Air Technology Systems. The property has 24-foot clear ceiling heights, abundant parking and outstanding visibility on I-70. The seller was represented by Sandra Hunt, Senior Vice President of Scheer Partners. Founded in 1999, Rosenthal Properties is regarded as one of the Washington area’s most reputable, fully-integrated commercial real estate firms, offering its clients a full range of services, including property management, leasing, and construction management. 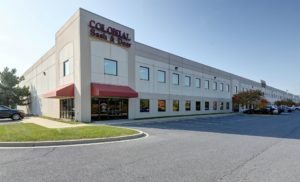 Currently, the company owns, leases or manages a portfolio of approximately 6.5 million square feet of investment-grade retail centers, industrial parks and office buildings throughout Virginia, Maryland, and Washington, DC, including Penn Mar Shopping Center in Forestville, Maryland, Rio Hill Shopping Center in Charlottesville, Virginia and Prince William Square Shopping Center in Woodbridge, Virginia, among others. For additional information on the full scope of the company’s services, visit www.rosenthalproperties.com.